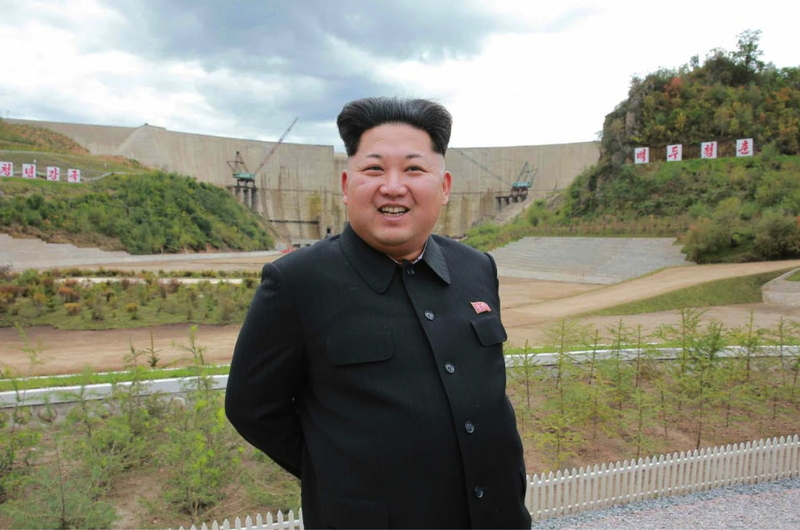 Kim Jong Un posese for a photograph in front of a dam that is part of the Paektusan Youth Power Station (Photo: Rodong Sinmun). 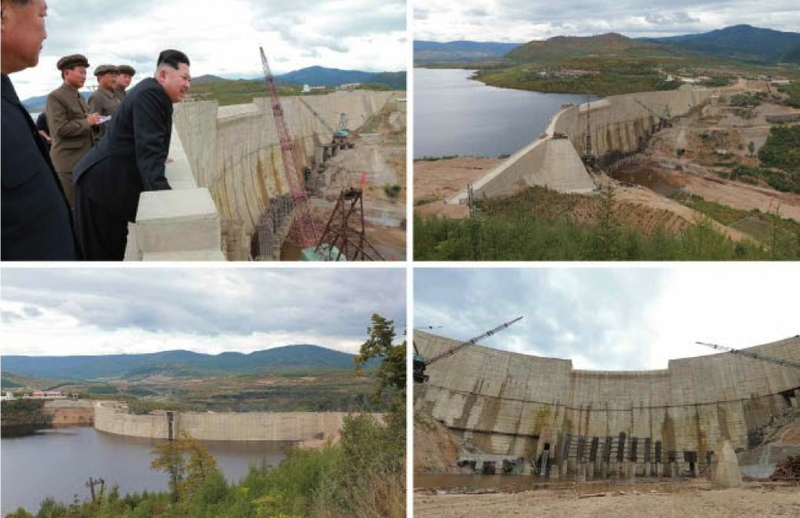 DPRK state media reported on September 14 (Monday) that Kim Jong Un (Kim Cho’ng-u’n) visited and toured the Paektusan Youth Power Station in Yangkang Province. Also in attendance were Choe Ryong Hae (Workers’ Party of Korea [WPK] Secretary of Military Affairs) and Jo Yong Won (deputy director of the WPK Finance and Accounting Department). 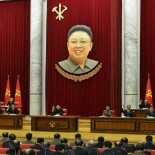 Kim Jong Un at the Paektusan Youth Power Station. Also in attendance is Jo Yong Won (L), deputy director of the WPK Finance and Accounting Department (Photo: Rodong Sinmun). 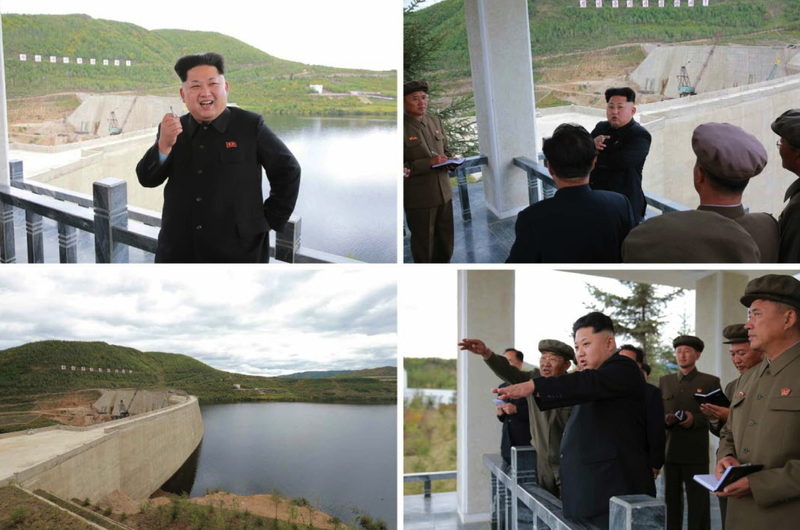 Kim Jong Un inspects a dam that is part of the Paektusan Youth Power Station (Photo: Rodong Sinmun). 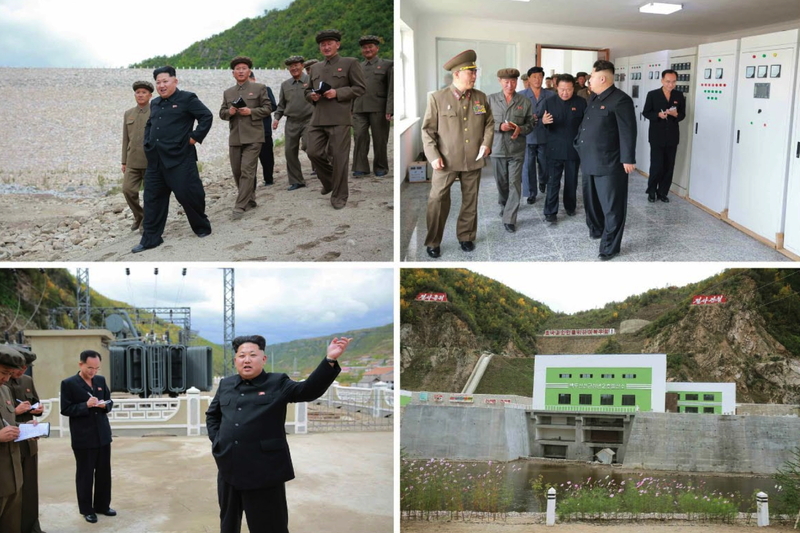 Kim Jong Un inspects the Paektusan Youth Power Station (Photo: Rodong Sinmun). 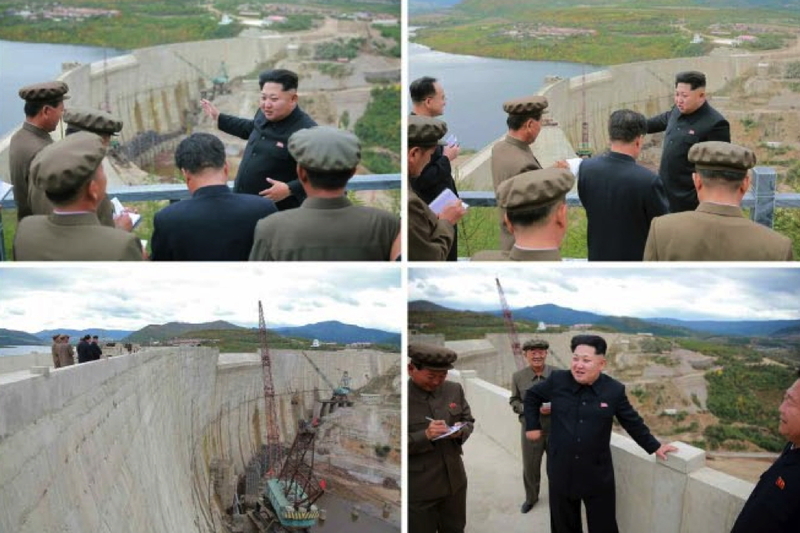 Kim Jong Un inspects a dam and other parts of the Paektusan Youth Power Station (Photo: Rodong Sinmun). 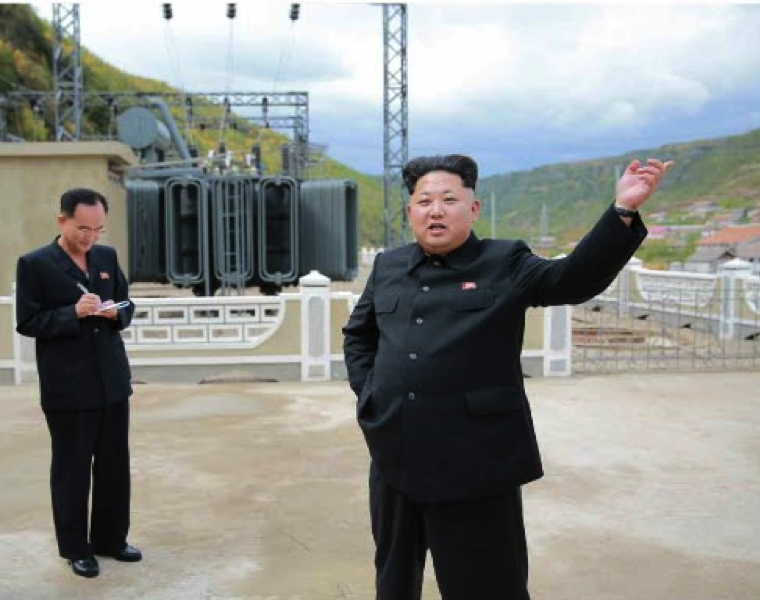 Kim Jong Un inspects a generator and transformer station that are part of the Paektusan Youth Power Station (Photo: Rodong Sinmun). According to KCNA, Kim Jong Un remarked that “it is the consistent strategic line of the WPK to train the young people as masters of the times and encourage them to enter the gate of the thriving nation before anyone else” and he underscored “the need for all young people to build on this land more structures of eternal value to be handed down to posterity by carrying forward the proud tradition of young Koreans.” Jong Un “called on them to wind up the project perfectly as not many days are left before the 70th birthday of the WPK and stage a grand young soldier-people chorus, a declaration of victors, there.” He said he would attend such a gathering and have photos taken with the chorus using the dam of Power Station #1 as the back drop. He concluded his visit by watching the Paektusan Youth Power Station’s Itinerant Art Propaganda Squad sing “Song of Faith Sung by Young People in Paektu” and participated in a commemorative photo-op. This entry was posted on 09/14/2015 by nkleadershipwatch in Central Committee, Central Military Committee, Choe Ryong Hae, critical infrastructure, DPRK Cabinet, Events Management Section, Finance and Accounting, Guard Command, internal security, Jo Yong Won, Kim Chong-un inspections, Kim Family, Kim Il Sung Youth League, Kim Jong-un, KJI Personal Secretariat, Korean People's Army (KPA), Korean People's Army Supreme Command, Korean Workers' Party (KWP), KPA construction battalions, KPA construction brigades, KPA General Logistics Department, KPA General Political Bureau, KPA General Political Department, KPA General Staff, KPA Large Combined Units, KPA supernumerary organizations, land and enviroment, local people's committees, military economy, military security command [msc], Ministry of Construction and Building Materials Industry, Ministry of Electric Power, Ministry of State Security, Ministry of the People's Armed Forces (MPAF), National Defense Commission (NDC), North Korean press, party life, power plants, primary party committees, Provincial Party Committees, Secretariat, State Security Department, succession, transportation, water facilities, Workers' and Social Organizations, Young Red Guard.